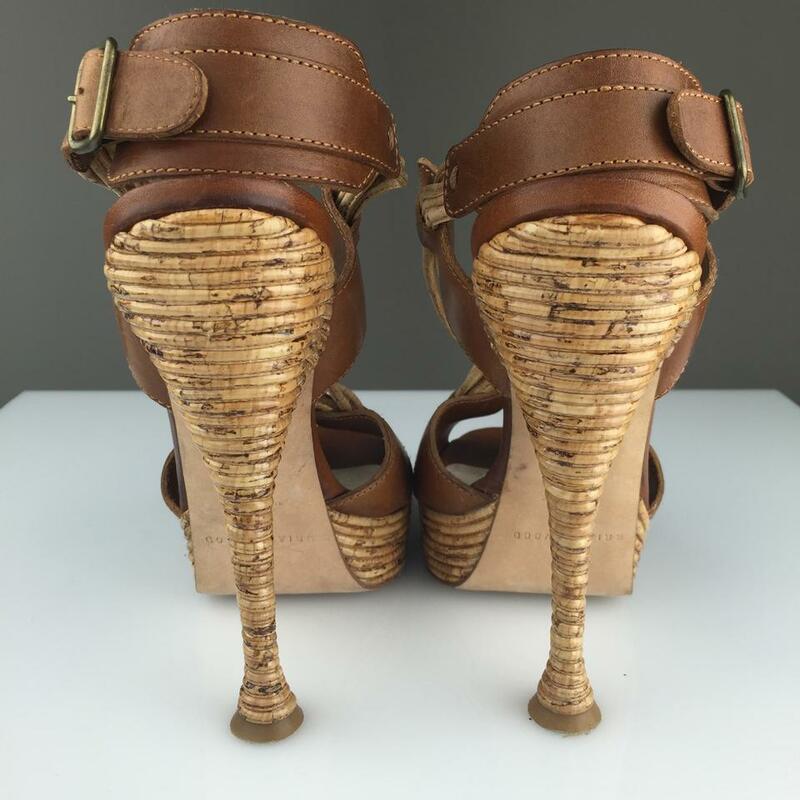 These UNIQUE PUMPS feature cork rope and tan leather. 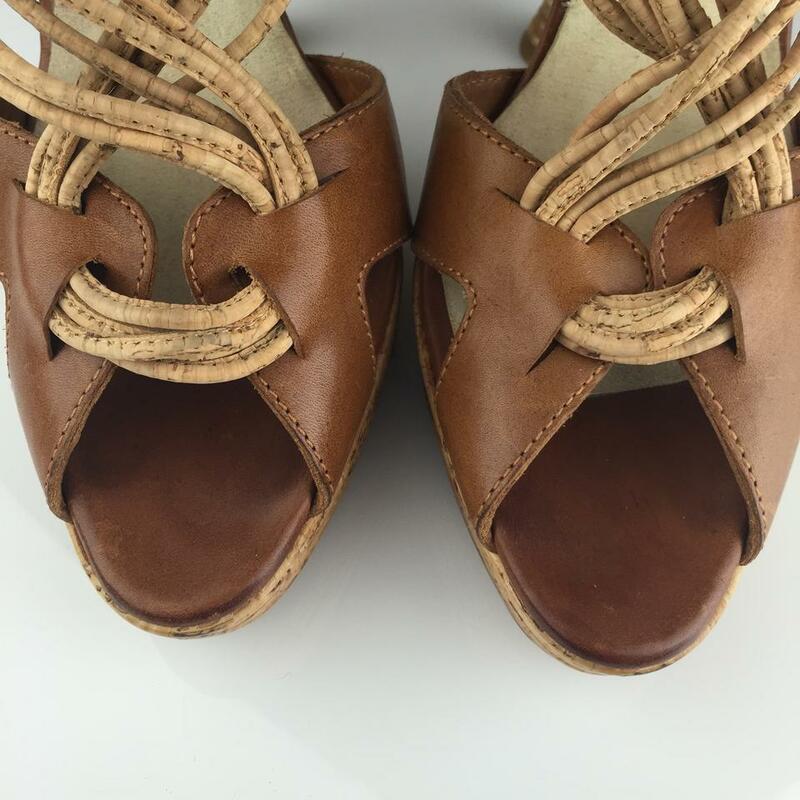 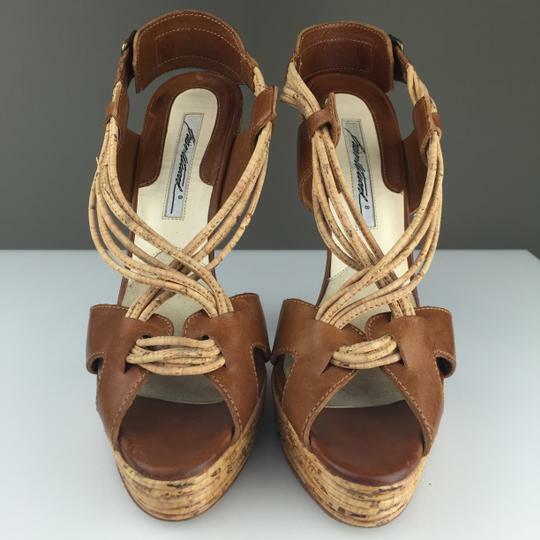 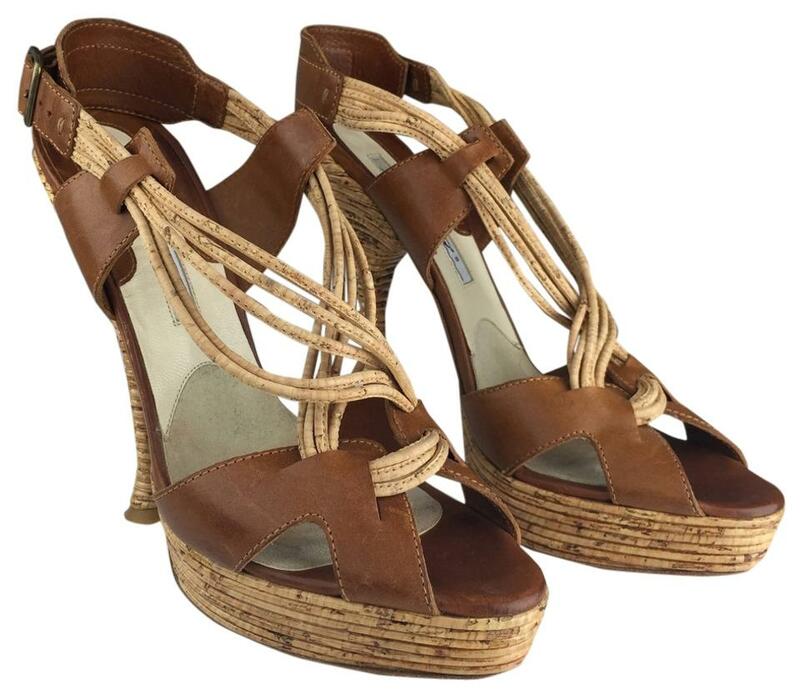 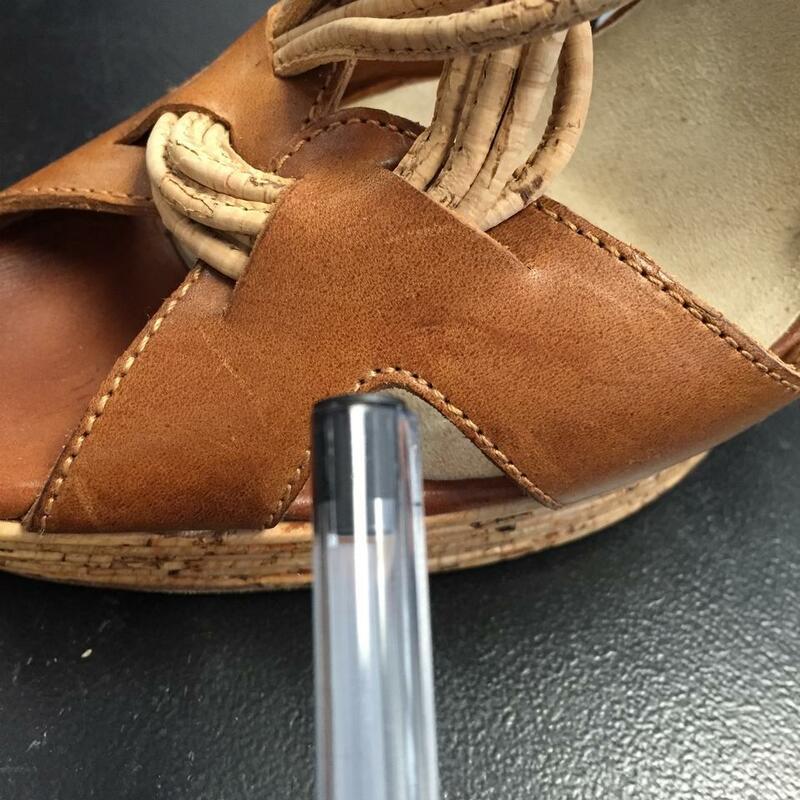 THEY MAKE A GREAT ALTERNATIVE to the espadrille! Pair them with your favorite cut-off shorts and summer white tank top, for an EFFORTLESS CHIC! 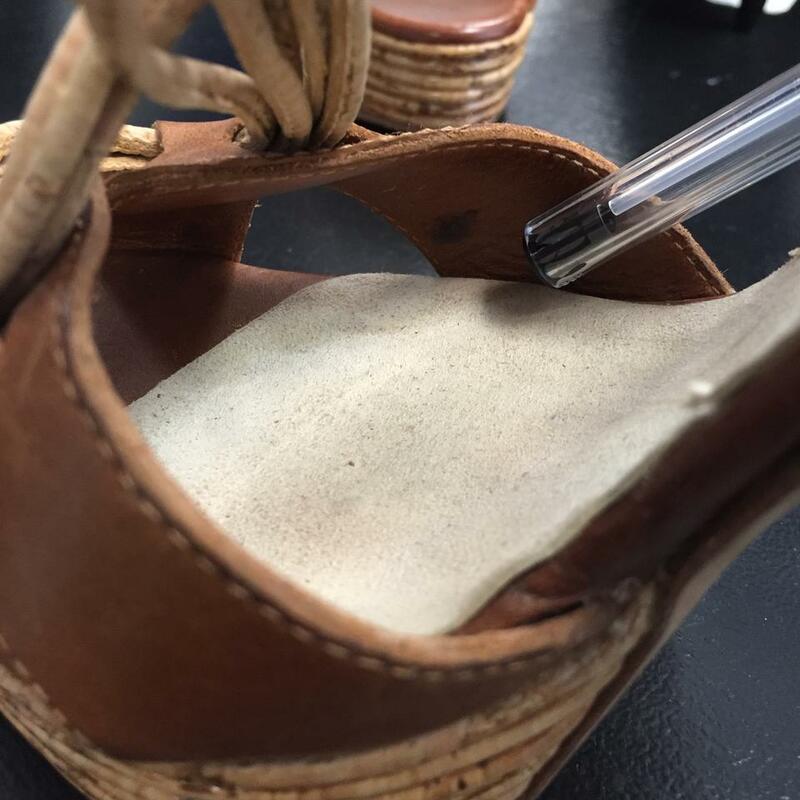 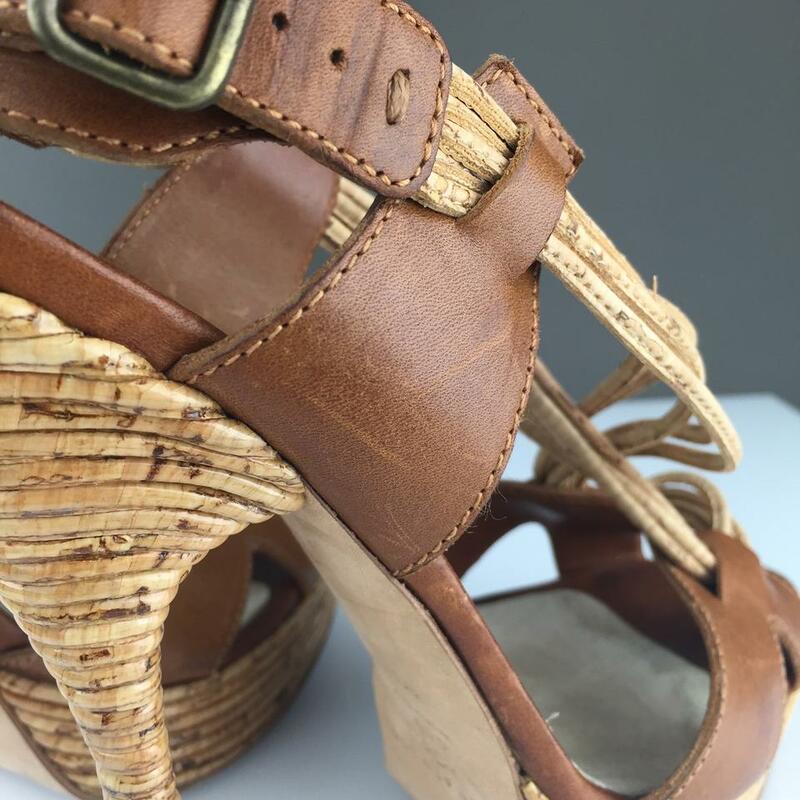 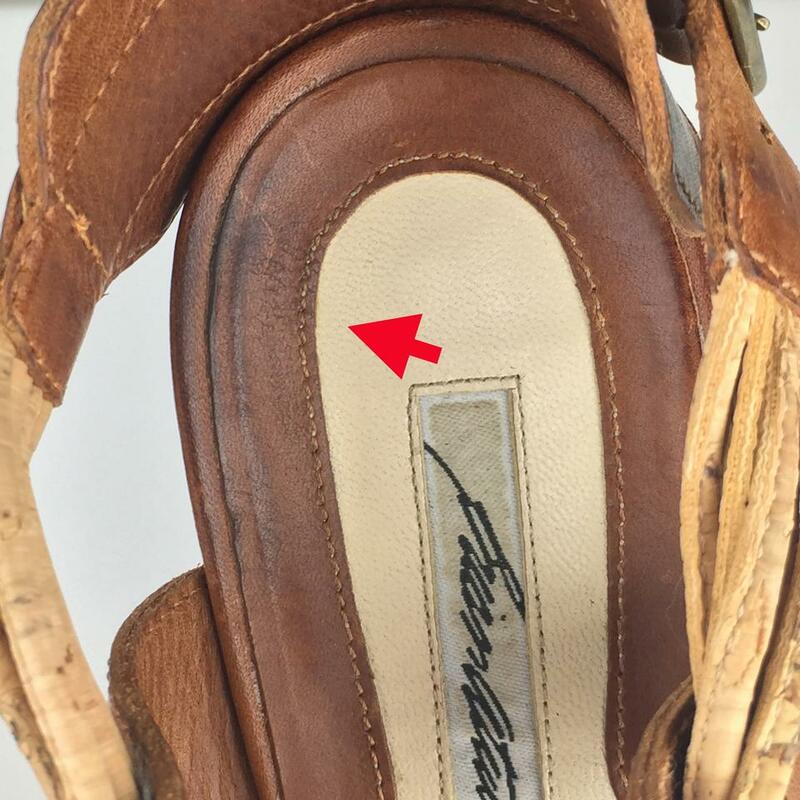 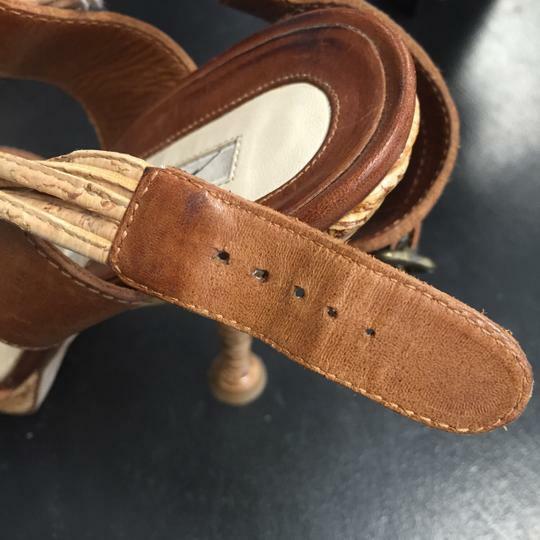 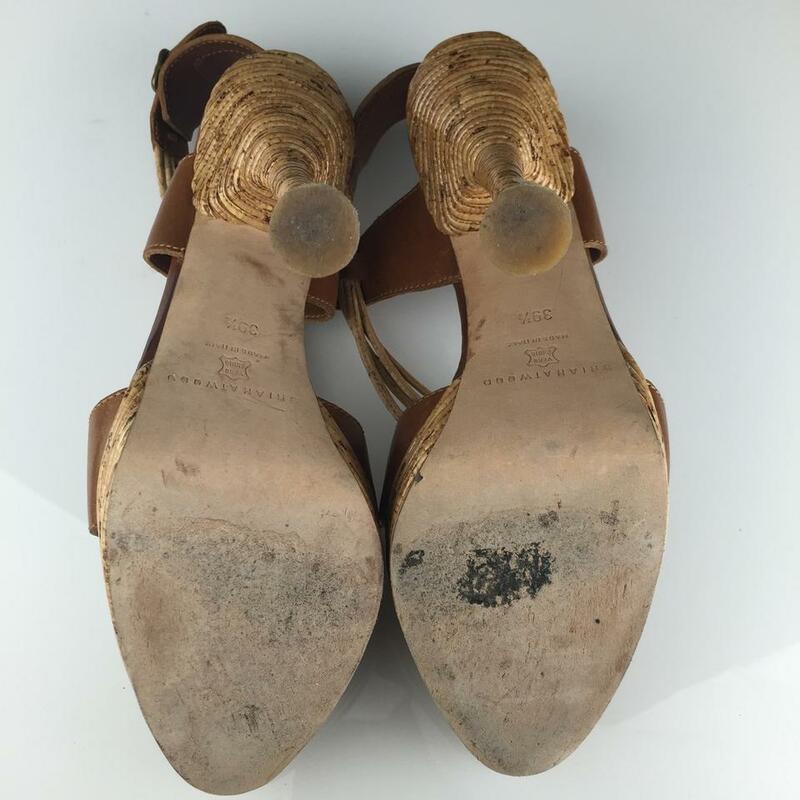 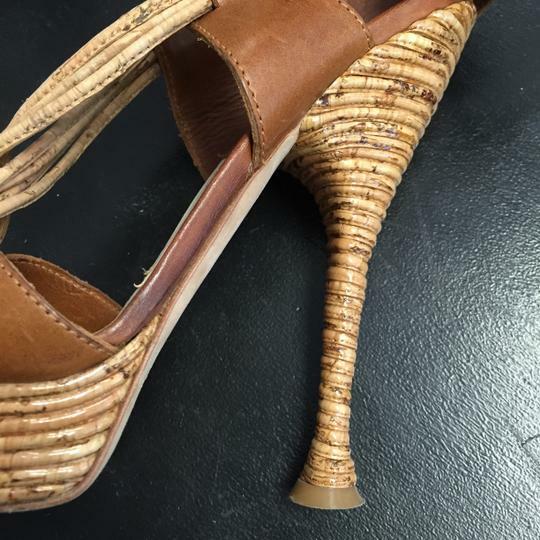 The cork weaves in and out of the leather, and connects to the buckle around the ankle. The buckle is a brass colored metal, which blends nicely into the color scheme of the shoe.